DEL MAR — Following two presentations at the Nov. 4 meeting on a project that will double track the railroad, replace the nearly 100-year-old San Dieguito River Bridge and add a special events platform at the Del Mar Fairgrounds, council members agreed to send a letter listing their concerns to the San Diego Association of Governments, one of the main agencies involved in the improvements. The issues mirror complaints many residents voiced during an open house held at Powerhouse Community Center five days earlier. 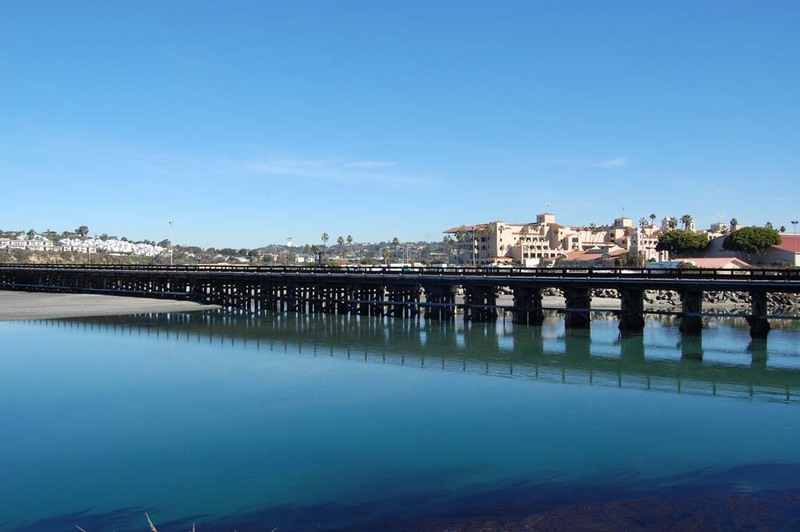 The project is essentially a done deal, but City Council and Del Marians are requesting mitigation for any negative impacts it will have on the city, its residents and the recently restored San Dieguito Lagoon. Linda Culp, project manager from SANDAG, first gave an overview identical to information provided at the earlier open house. That was followed by a presentation by Bill Michalsky, co-chairman of an ad hoc citizens group formed at the beginning of the year to gain a complete understanding of the project, identify issues and problems and identify and prioritize mitigation measures. Addressing the double tracking, Michalsky said SANDAG and committee members agree adding a track east of the existing one is the best alternative and positive for lagoon protection. Unresolved issues include increased noise from horns and vibration, as well as visual impacts. Michalsky said there is little argument the bridge needs to be replaced. The committee is satisfied with the new spans every 56 feet, as opposed to the current 14 feet. “That would open up the flow considerably,” he said. But members want the height as low as possible. Original plans called for a 10-foot increase. That has been reduced to 8 feet. There is agreement it should be side-loading. Unresolved issues include a definition of special events, something Culp said she couldn’t provide at this time, usage limits, noise from passengers, as well as arriving, standing and departing trains, lighting, litter, security and services and amenities. Michalsky said SANDAG representatives agreed to consider a shorter platform, but Culp said North County Transit District and Amtrak both requested the 1,000-foot length. There was also agreement there would be no tickets sales from the platform, lighting and operations would be minimal and there would be an evaluation of mitigations about noise, lighting and visual impacts. “These are good things,” Michalsky said. He also said the committee would like some sort of quiet zone established, perhaps similar to the directional one at the Coast Boulevard crossing. He said changes to the tracks and bridge will not be very impactful. Several residents weighed in during the public comment period, voicing similar concerns. Some questioned the need for the platform. “I think it’s appropriate now … to formally submit these concerns to SANDAG for their consideration and work very, very hard to try to get as many of these mitigation issues resolved and try to figure what we can do for the community. Council already submitted a letter with similar concerns in February for the environmental impact report.